We're halfway through the month already but the schedul is finally here! 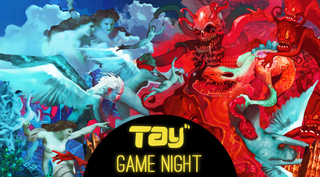 Here's a list of all the upcomming TAY Game Nights for the rest of October! I need volunteers to host for the games/systems I don't own. Let me know if you're interested in a comment! I tried to balance the schedule as much as possible in terms of what you guys voted for. Sorry if the game you wanted didn't make it in this time. It might have if I had gotten this out there sooner as we had three missed opportunities. But there's always next month! Remember, you can find your friends on the TAY Gaming IDs Spreadsheet and in the TAY Steam Group!